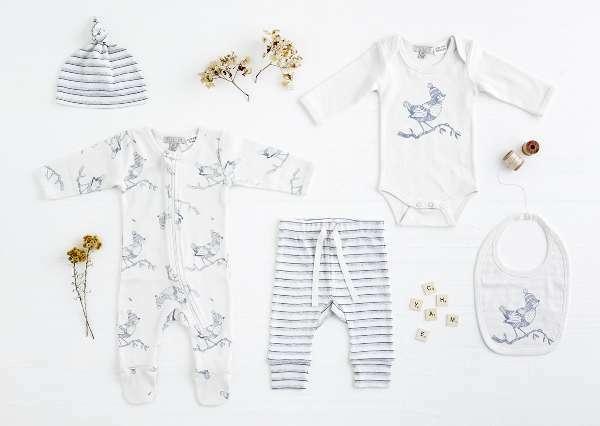 If foxes, larks and other woodland wonders tickle your fancy, you’ll adore the latest collection from this sublime Melbourne-based baby wear label. Oh, how I adore the beautiful clothing available for babies in winter. 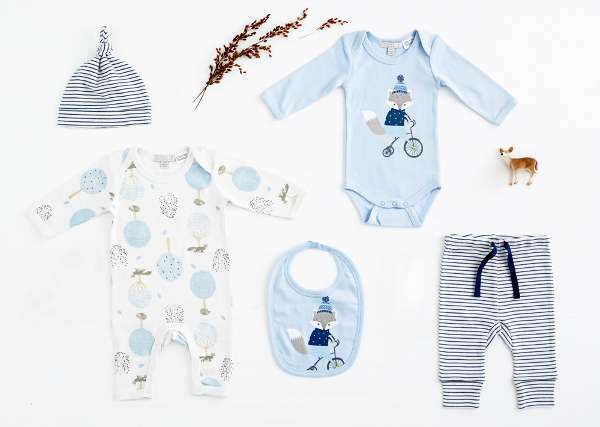 Babes kept warm in the softest of fabrics, with gorgeous wintry designs – how lucky are mothers of winter babies! Here’s one local label that does stunning baby clothing very, very well. Wilson & Frenchy has a distinct love affair with nature, and it certainly shines through with their latest collection. Starring fun foxes, raccoons, birds and trees, the designs are subtle yet fun. Made from cotton, in fair trade factories the collection includes jumpsuits, bodysuits, tops, knot hats, bibs, leggings and bunny rugs. The illustrations that form the designs are unique to Wilson & Frenchy – and they are adorable. The jumpsuits with feet cost $34.95, the bodysuits are $29.95 and the hats are $9.95. The collection starts at size four zeros up to zero, and Wilson & Frenchy offers free shipping for orders over $100, delivered within Australia.